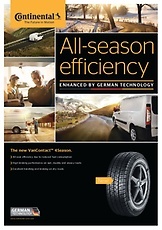 All-season efficiency enhanced by German technology. All-year efficiency due to reduced fuel consumption. 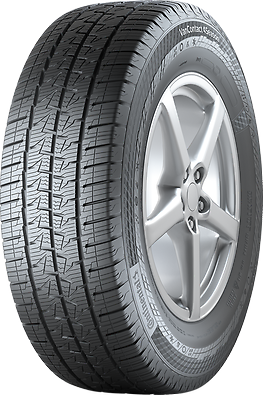 The innovative tread compound with the new generation of silica efficiently reduces the fuel consumption through low rolling resistance, making the tyre a profitable investment for the future. The high number of sipes maximises the edge length in order to interlock with wet roads and thus improves wet braking performance. Additionally, the V-shaped drainage and wide lateral grooves successfully work against aquaplaning. Especially in wintry conditions, an increased sipe edge length provides outstanding braking performance. 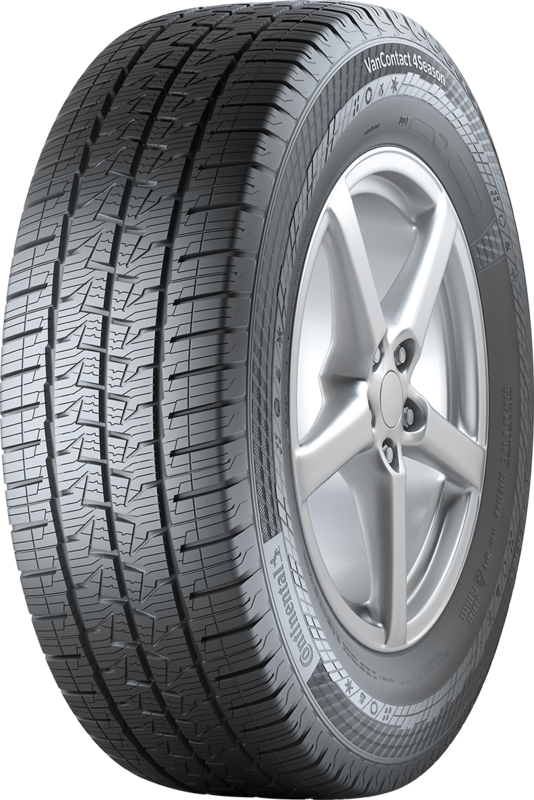 Combined with the step in shoulder groove, the VanContact™ 4Season ensures excellent grip and handling on snowy roads. The VanContact™ 4Season is a solid companion with improved performance when it comes to short braking, handling and stability on dry roads.